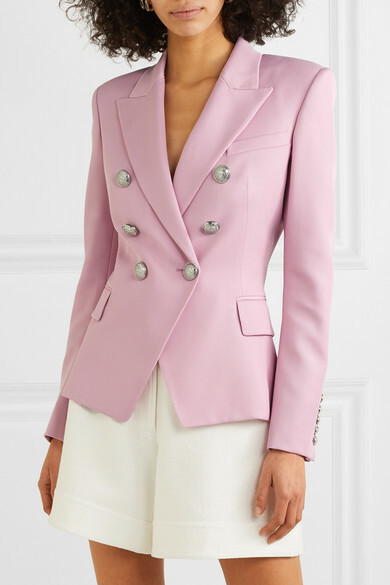 Balmain's signature six-button blazer is often dubbed 'iconic' by those in the industry. 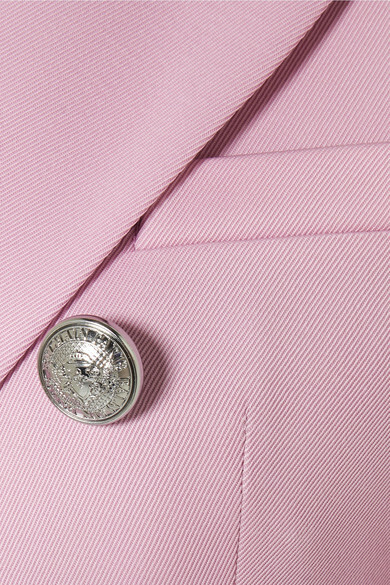 This Spring '19 version is tailored from pink wool-twill lined with smooth satin and has gleaming silver hardware. 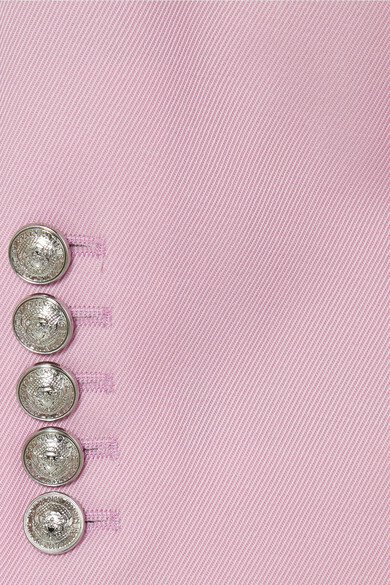 It's padded at the shoulders and has a slim fit. 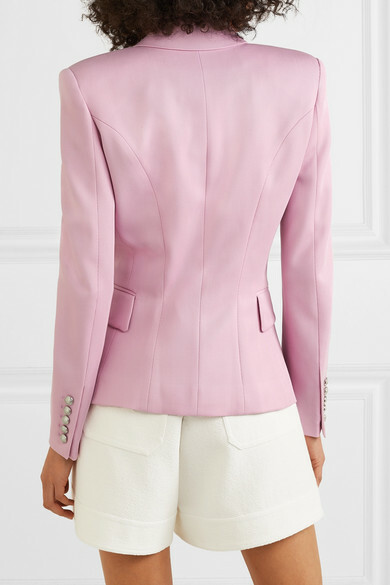 Our stylists like it with white tailoring. Shown here with: Oscar de la Renta Shorts, Miu Miu Shoulder Bag, Tabitha Simmons Pumps, Saint Laurent Earrings.